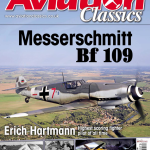 This is the home page for the Aeroflight guide to the aviation magazines of the world. The guide is principally aimed at aviation enthusiasts, scale modellers, historians and collectors. It therefore concentrates on publications of interest to this readership. For this survey a ‘magazine’ is taken to be any publication containing a collection of articles, pictures or other features that is periodically issued with completely different contents. The frequency of publication can be anything between daily and annually. The primary focus is on printed magazines, but PDF publications are also included. “Magazine” websites that do not make their contents available in a single document are not included. What titles are included: Any magazine wholly or partly devoted to fixed-wing and/or rotary-wing powered aircraft and their operation. ‘Partly devoted’ means a feature article in almost every issue. The titles included comprise specialist aviation magazines, scale modelling magazines which refer to full-size subjects and defence industry journals which cover military aviation topics. Also included are the publications of major aviation societies and amateur enthusiast organisations which provide national or regional coverage of aviation matters. 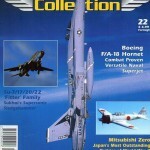 Radio-controlled or flying model magazines are normally excluded unless they regularly refer to full-sized subjects. Aerospace industry journals which concentrate on abstract theoretical issues, technical details or internal equipment – such as cabin furnishings – are similarly excluded. 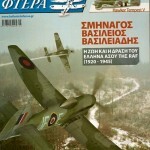 Local flying club and military unit internal magazines are not included, on the basis that such publications are not intended to be of outside interest or relevance. Details of each title include: publishing frequency, language, publisher, ISSN number and current status, together with an outline of the style and typical content of the magazine. Where possible, contact details are provided for all titles that are still being published. I would like to make this guide as comprehensive as possible, so if you wish to add or correct anything please let me know. Also, if anyone has a computerised index or contents listing for any of these titles, please get in touch with me. Thanks to those of you who have already taken the trouble to sent me comments and corrections, they are much appreciated.